Tomorrow is 17th May, Norwegian National Celebration day. It’s also the end of a whole month of crazy partying and several years of preparation for the Russ. If you’ve seen those teenagers in mostly red overall or if your children have come back with red or blue business cards, here is what it’s all about! Red (rødruss): general studies: mathematics, physics, biology, history, literature, English etc… In the French system, that would be Terminale S. In Australia and New Zealand those who pick the Asian 5 would be red too. This is by far the most common colour. Blue (blåruss): economy administration In the French System, that would be your Terminale ES. Green (grønnruss): agricultural courses, also used by some as an alternative to orange russ. Golden Russ: there are only a few per council, a handful in Oslo and they are ultimate masters of partying (and mischief) having passed 100 raunchy and alcohol related tests. Pink Russ: school drop-outs who are Russ age and want to join the party! 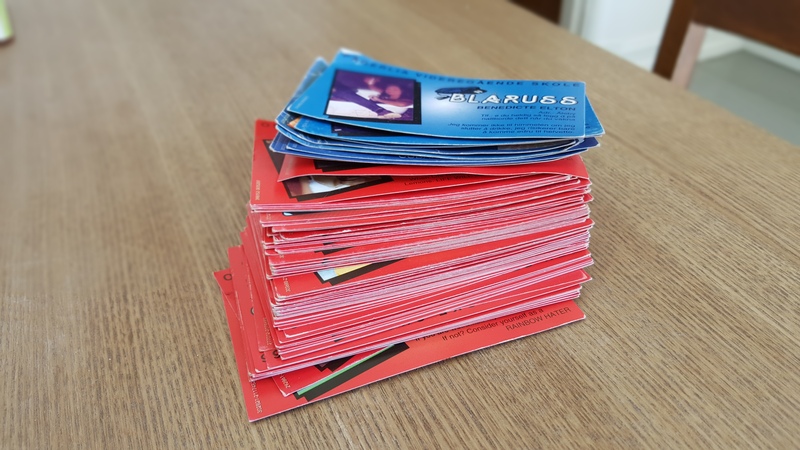 They are simply like business cards allowing Russ to share their contact details with other Russ they would meet over their month long party season. Why do young children chase Russ? 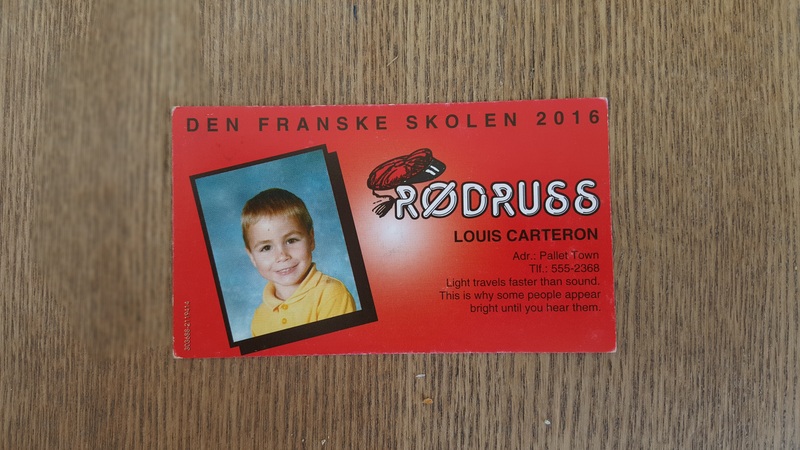 Apparently the way it all started is that Russ teens would get their younger siblings to get cards for them or to give some to other Russ they might be too shy to approach? Well as a result I’ve got Russ cards everywhere in the house, in my pockets and the kids pockets. And tomorrow, all this will stop and 2016 Russ cards will lose all their value! RUSSKEMON GOTTA CATCH ‘EM ALL! You’d be disappointed if I didn’t drop a couple of cost and $$ here and there right? You’ve already suffered too much waiting a whole month between my last few posts <grin> so here it is. How about end of high school exams? In the French System, your end of high school is very important and determines the quality of the university you will attend. Same for Australian’s HECS. It seems like in the Norwegian system, it’s not all about that end of year exam but the marks you get during your curriculum count as much, hence less pressure to study and prepare. My source is my baby sitter who himself is a Russ as well as my boss who used to be a Russ a couple of decades ago 😉 For a lot more details in English you can go to Wikipedia’s Russfeiring page. Life of an expat family in Norway: our first 17th May! Living in Oslo: month one Hygge life: our first year in Norway, the happiest country on Earth Can you text and walk in Oslo? Norway is the best place to graduate. All for russefeiring.